How can I get the matrix survey piece to adapt to my theme/style? The matrix survey tool doesn't seem to adapt to the style or theme of a form, instead remaining opaque, light grey, white, and starkly different from the rest of the form. 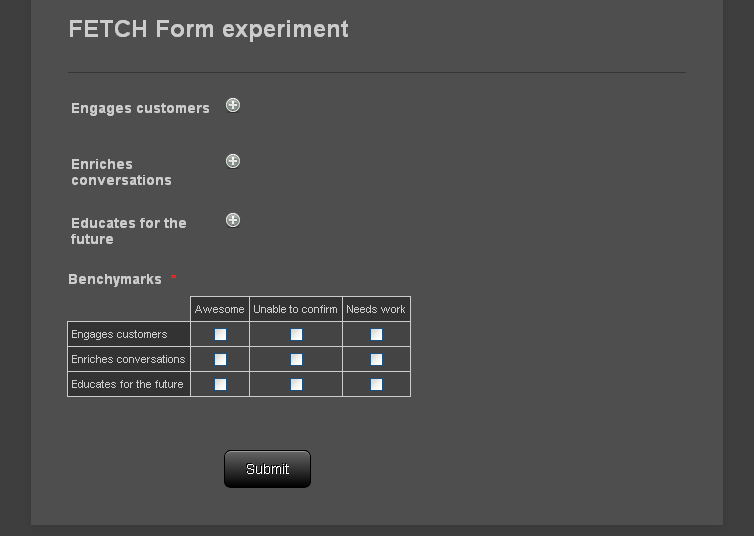 I was wondering if there's a way to get it to conform to the style or chosen theme of the rest of a form? Some fields come with their own styles in order to appear the way they do, so a theme must be built to support the fields. It sounds like the theme you are using is not yet fully built with Matrix fields in mind, so we can correct the styling of your matrix fields by using CSS.